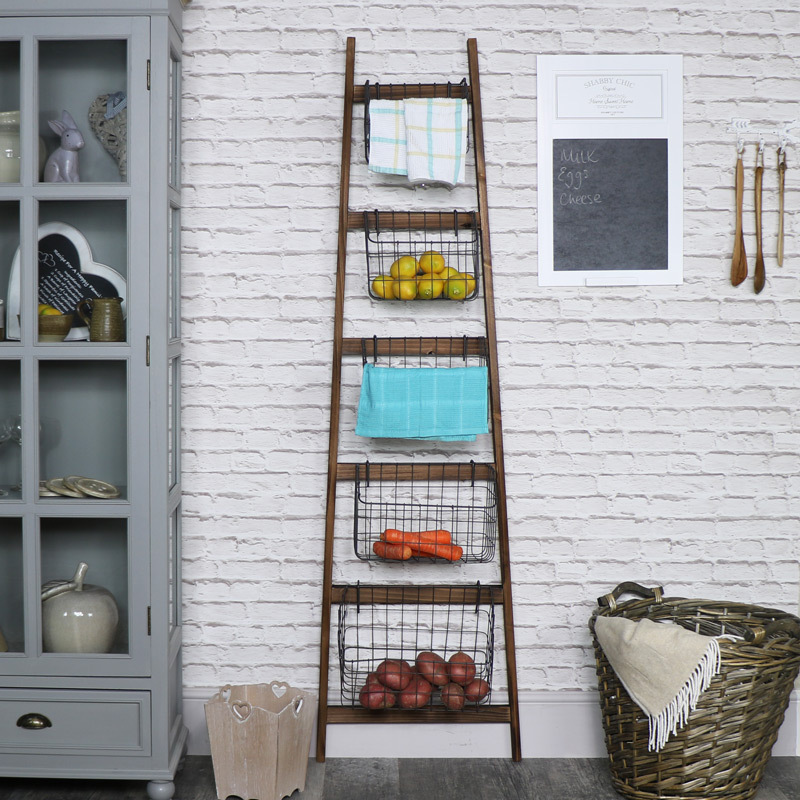 A Perfect Storage solution in a rustic style with this perfect ladder style storage unit. 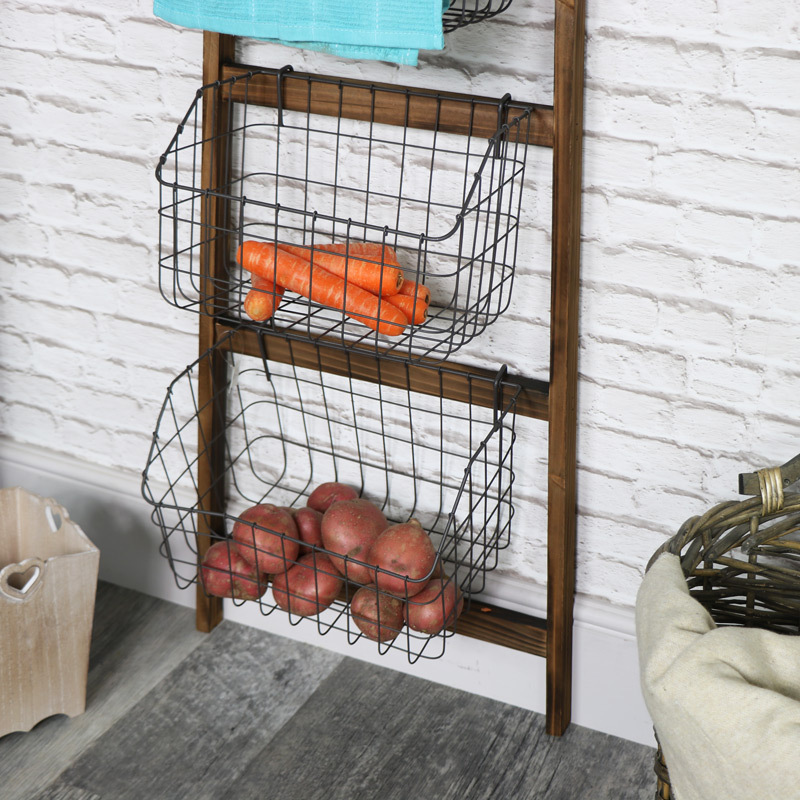 A stylish and practical storage unit perfect for the kitchen, bathroom, hallway or bedroom. A perfect for solution for smaller spaces. 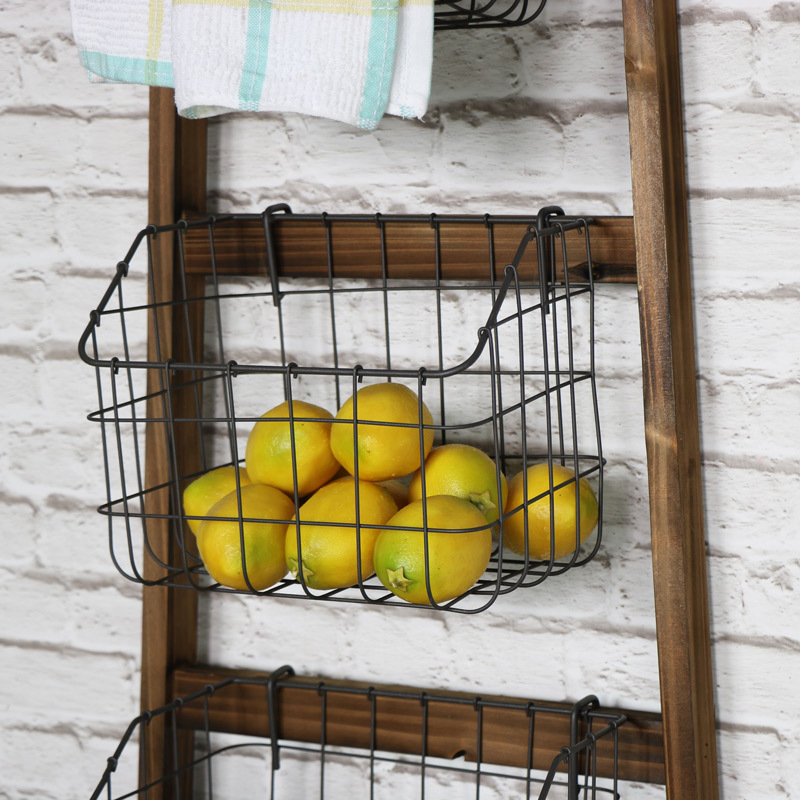 A simple yet stylish ladder design with 5 assorted sized baskets. The uses for this item are endless, from storing vegtables in the kitchen to toiletries in the bathroom . Rustic wooden frame in a dark brown natural finish with 5 baskets. The baskets each hook onto the frame and come in 5 different sizes. Fixings on the back to attach to the wall. 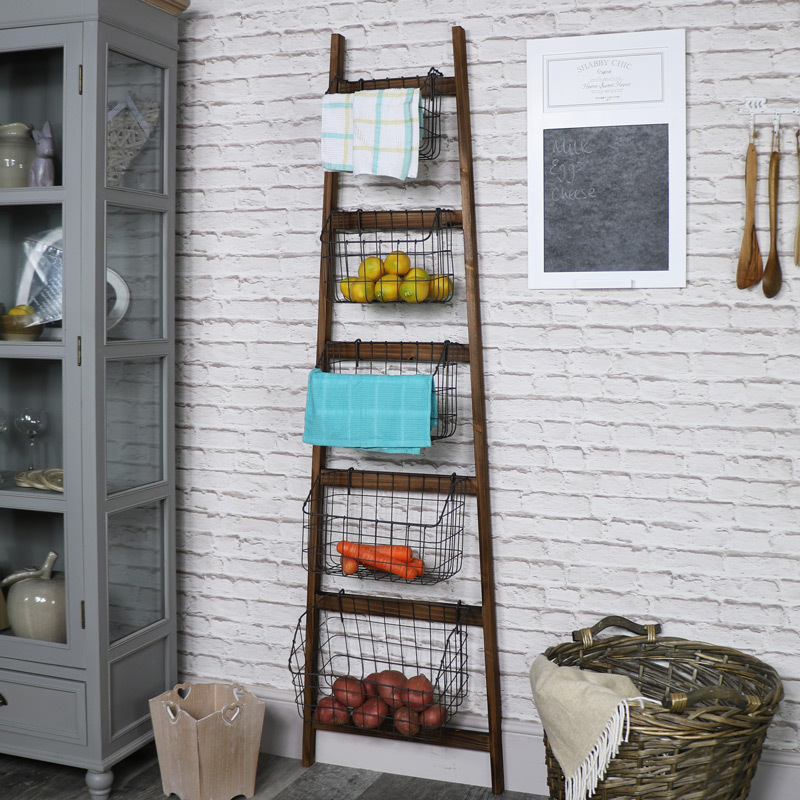 If you're looking for the perfect storage solution for your home, we have a fantastic range for you to choose from in so many styles.